I’m back with another Valentine’s Day Treat! 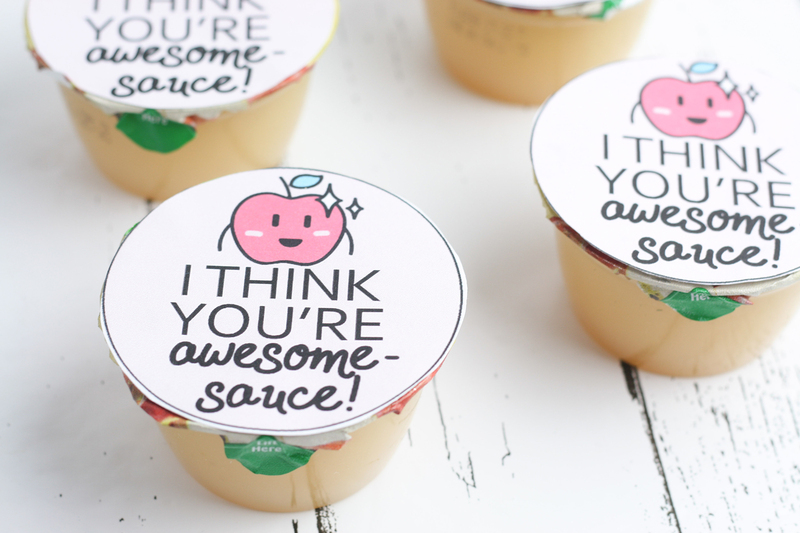 This time it is these cute I Think You’re Awesome-Sauce Valentine Applesauce Cups! 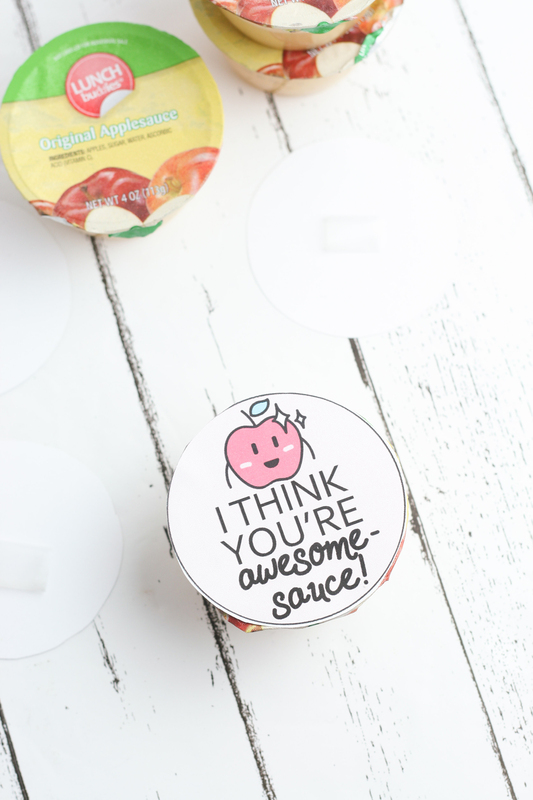 Kids love applesauce and it is a healthy alternative to sending chocolates or candy. If I let Bella she would eat applesauce for breakfast, lunch and dinner. She thought these were super cute and insisted we do both the pouches and cups for her classmates. 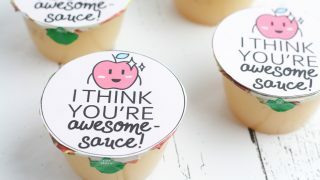 These I Think You’re Awesome-Sauce Valentine Applesauce Cups are the perfect little treat for your child’s classmates. It is a great choice for daycare friends too since it is a healthy treat and peanut free! So, if you need something cute and easy for your child to give to their friends this Valentine’s Day, these applesauce cups take mere minutes to put together! 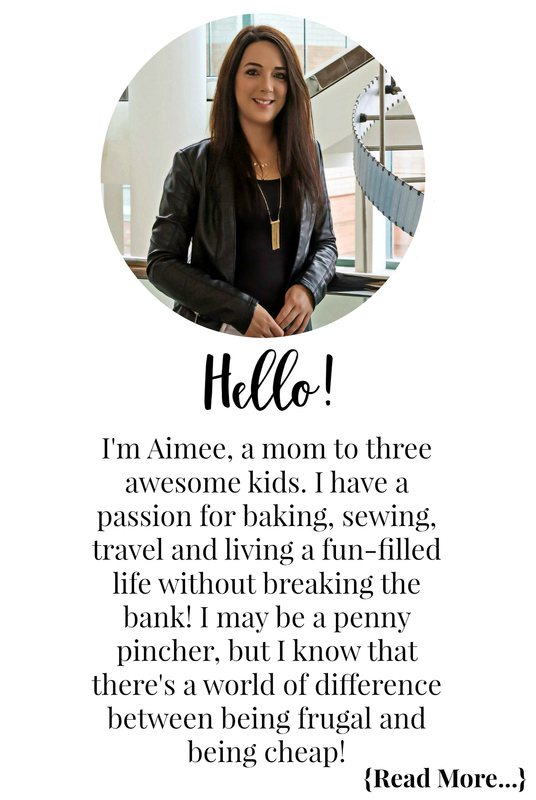 Check out the step-by-step process photos below and then find the printable instructions and supply list below! 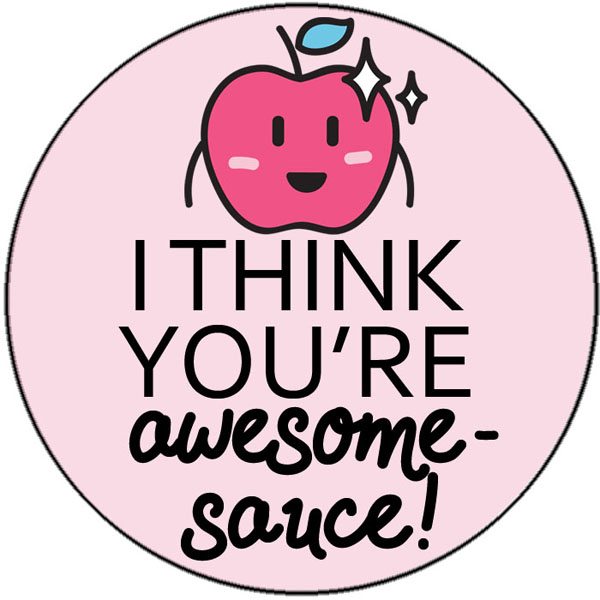 BONUS, below that and the pin image is a great list of even more Valentine’s Day content from the blog, so don’t forget to check those out too. Print out the Valentine’s Day card. There are 4 cards per sheet. Using scissors, cut out each card. Place a piece of tape on the back of each card. 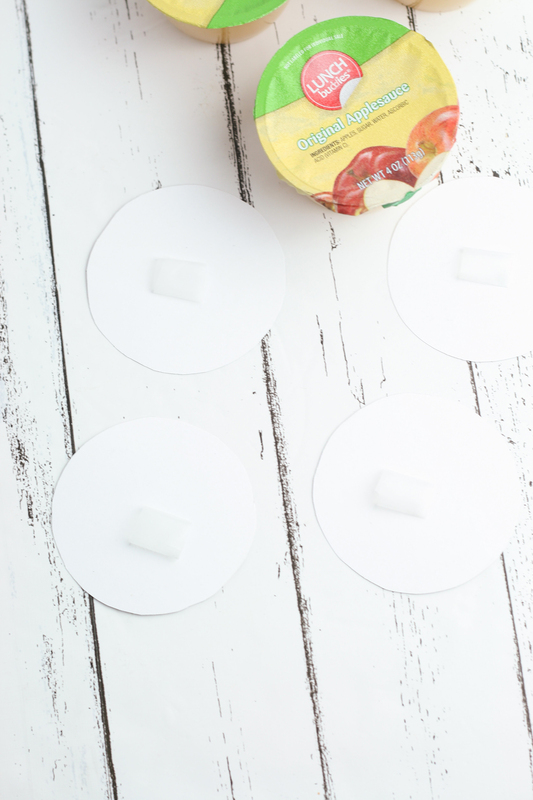 Place the card on top of each applesauce cup. 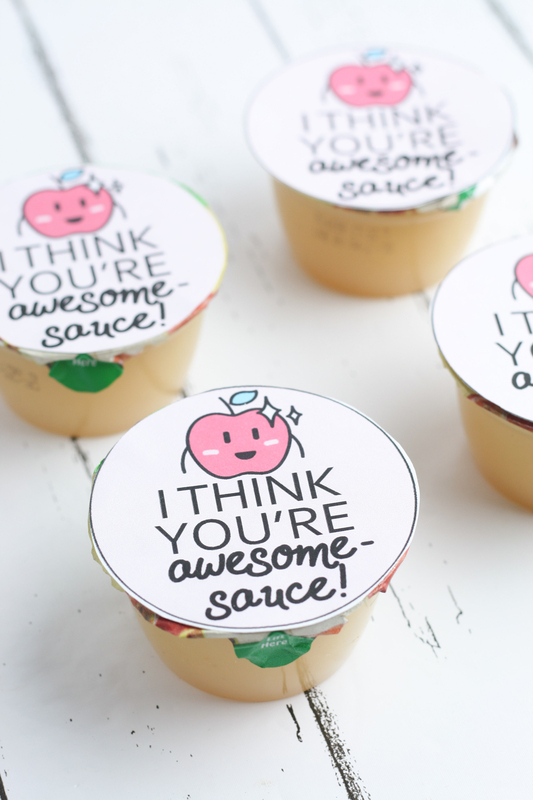 These I Think You're Awesome-Sauce Valentine applesauce cups are a great healthy alternative treat to give out! 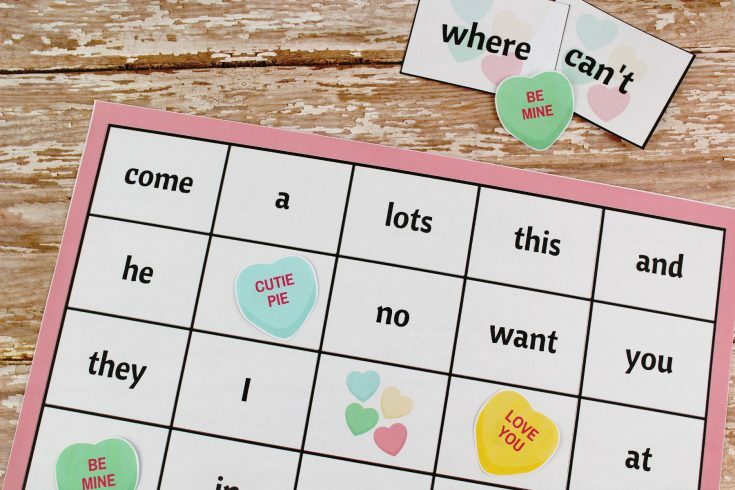 Print the valentines on heavy cardstock and cut out along outer line. 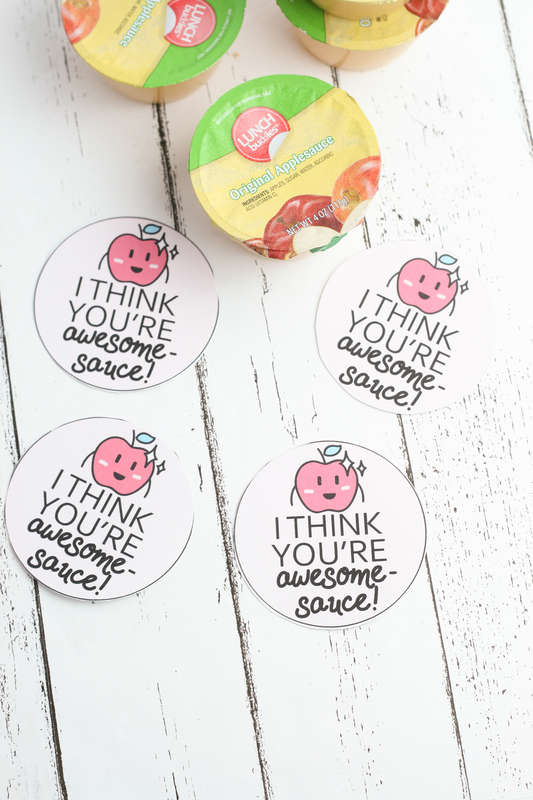 Attach the valentines to the top of each applesauce cup using tape. 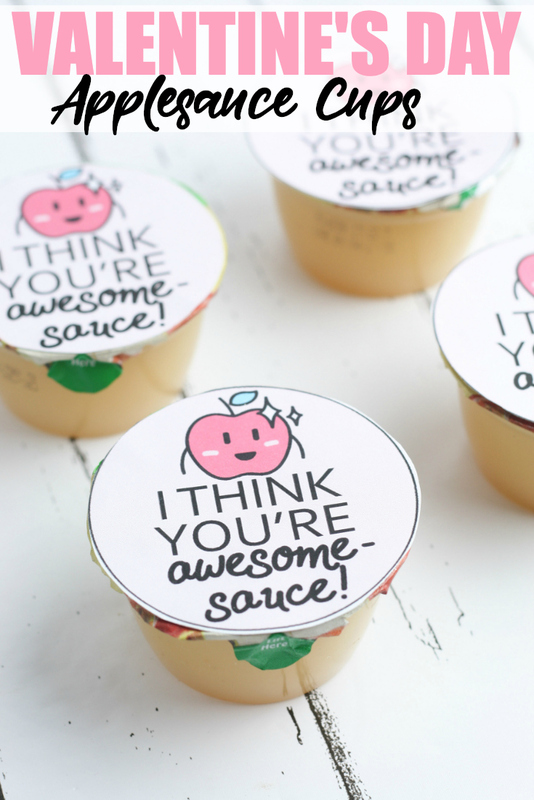 Print these cute cards to tape onto your applesauce cups. 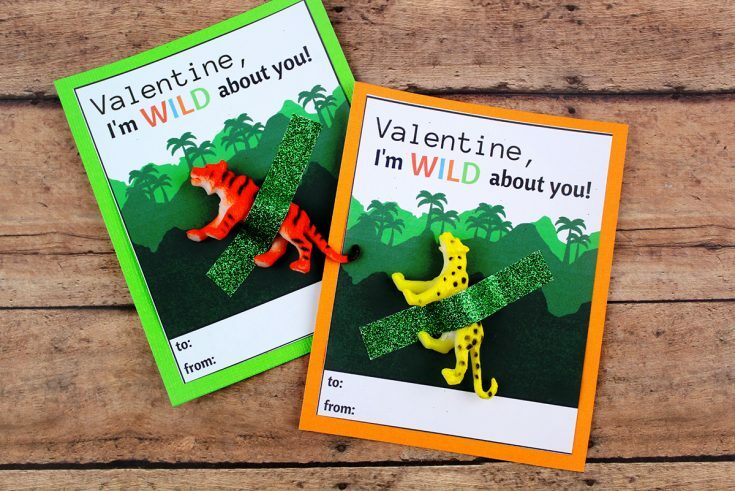 Check out these other great Valentine's Day crafts, DIY's and more! 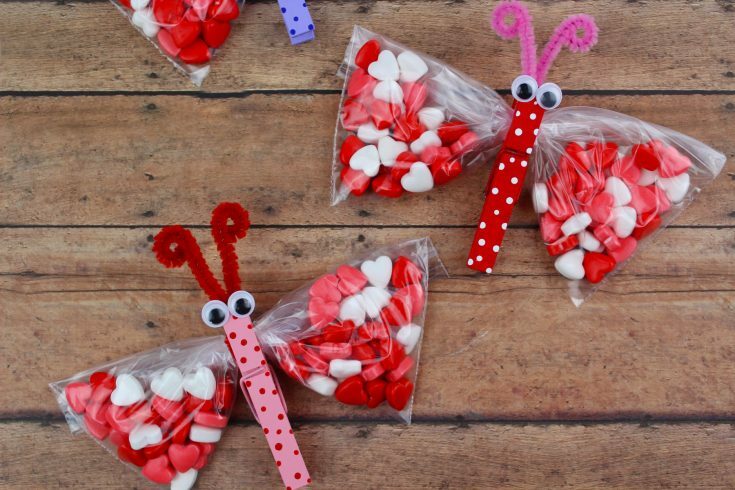 Whether you fill these Butterfly Valentine's Day Treat Bags with candy, play-dough, stamps, erasers, or other items, kids love to help make and receive them! 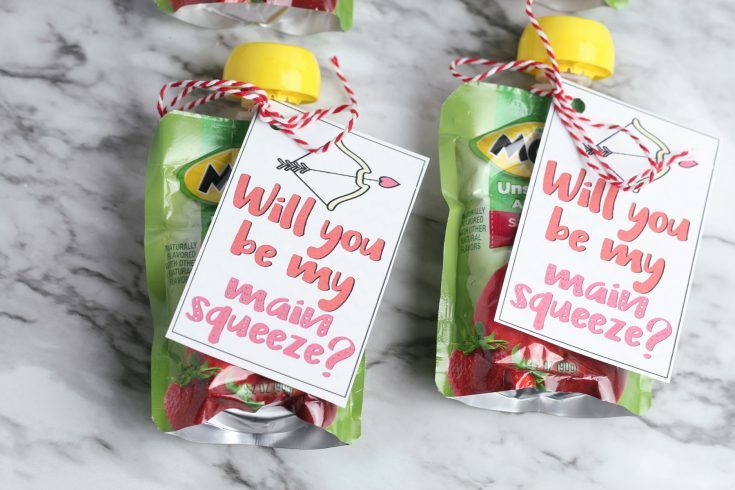 Make these super cute and healthy Will You Be My Main Squeeze Valentine treats! 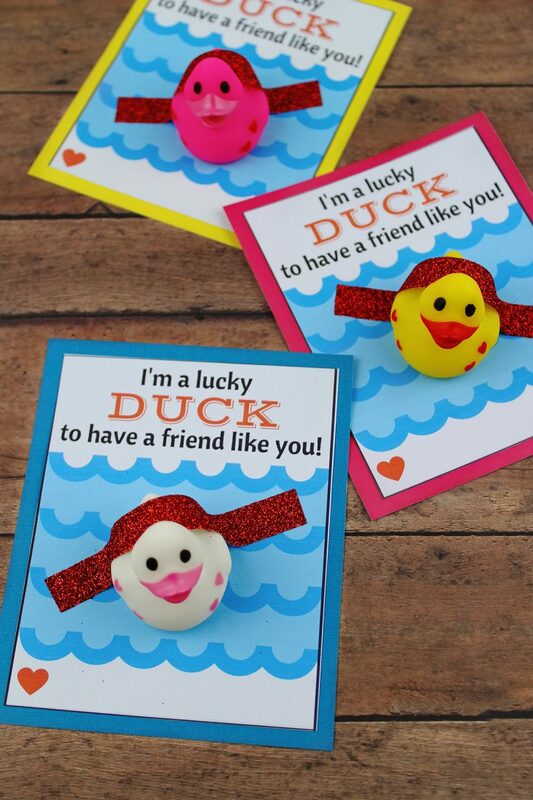 This Lucky Duck Valentine's Day Card DIY is a perfect non-candy option for younger children to hand out to their friends on Valentine's Day. 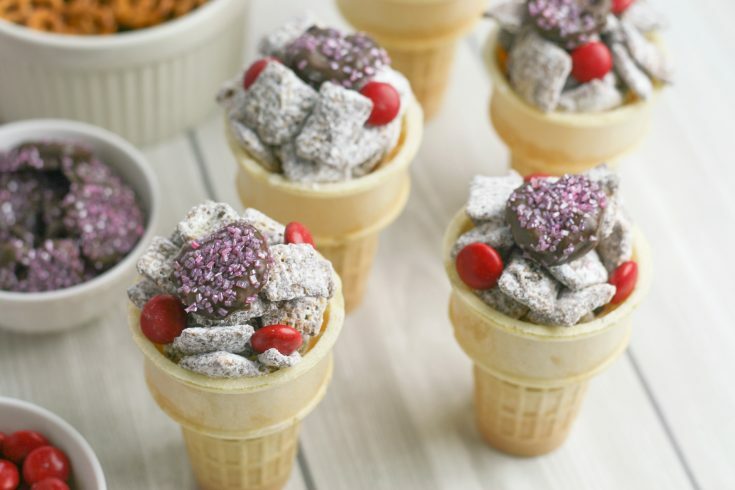 Looking for a fun treat to make for the kids this Valentine's Day? 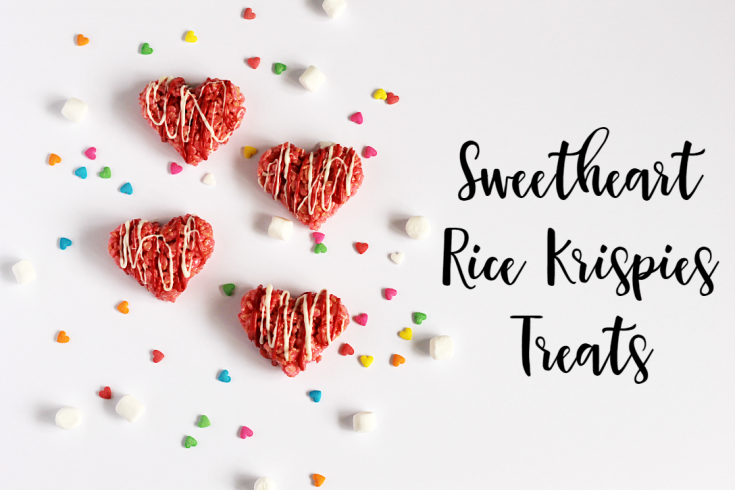 Why not make these super easy, fast and tasty Sweetheart Rice Krispies Treats. Whip up this fun Valentine's Day Muddy Buddies Snack Mix for your kids to munch on Valentine's Day as an after school snack!